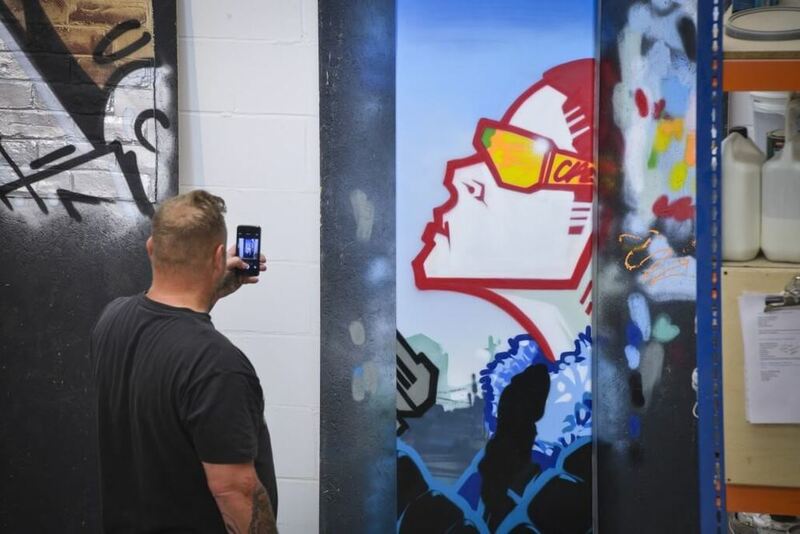 In the first of our artist collaborations creating bespoke, one off pieces of furniture, we had renowned Brighton graffiti artist, Aroe, in our workshop to paint two table tops in his signature style. 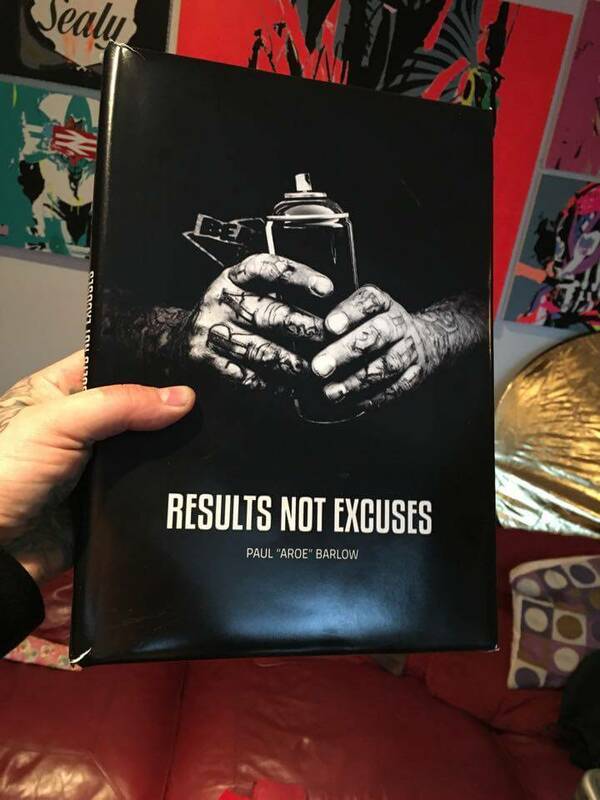 Inspired by graffiti in South London in the early 80s, Aroe continues to paint walls across Brighton, Europe and the world; he has a book out now… RESULTS NOT EXCUSES… Watch this space for details and review. We’re looking forward to getting our painty hands on a copy!